Recently we shared some helpful tips to help you maximize your property management website, but that’s really only half the battle. Just being present online won’t necessarily win you any new business, which is the ultimate goal. 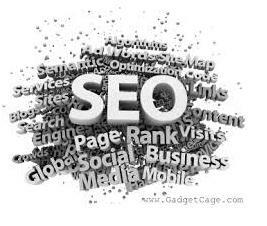 To really get the most out of your web presence, you have to optimize for search engines – otherwise known as SEO. This means that when someone conducts a search online for properties or property management services in your area, your website will appear at the top of the list of results. So, how do you accomplish this? Here are a few basics to get you started. You can’t measure how you’re doing online without first understanding where you stand at this very moment. Utilize tools like Alexa and Google Analytics to learn important information, such as your site’s page rank, as well as details about how much traffic you’re receiving, from where and how those visitors are interacting with your site. You can then use this information to periodically measure your progress and learn which areas need the most attention. The Property Manager's Guide to Extraordinary Marketing has all the inspiration and resources you need to make the right message heard by the right people. If you want to improve your chances of being found on the web, you have to make sure your website is optimized with the right keywords. These are the words and phrases that your target audience uses when they conduct a web search. If you’re not sure which keywords to target, try using Google’s keyword tool. Almost as important as utilizing the right keywords for your site is choosing how often to use them and where to put them. This isn’t necessarily an exact science, but you want to find a happy medium in terms of quantity. Stuffing too many keywords into your content could actually hurt your search engine performance, but too few will not get you the results you want. A keyword density of about 1-2% per page should place you right where you want to be. You should also make sure your keyword appears in both the title tag and page header of each of your pages for optimum results. Linking back to other areas of your website is an important component of how the search engines determine ranking. It’s also a great way to keep people on your site longer. Whenever possible, link back to other relevant content, using search-engine-friendly anchor text (like we did in the first paragraph of this article). Just keep it relevant and don’t overdo it. Be careful to keep your URL’s easy to read and understand. You can do this by changing the permalink as you’re adding or modifying copy in your content management system. For instance, it’s much easier to understand what the URL ‘www.yourpropertymgmtcompany.com/availablerentals” will lead to than it is to figure out whatever automatic URL your internal system may generate, such as ‘www.yourpropertymgmtcompany.com/18739/q301.htm”. Given the industry you’re in, images are inevitably going to be a big part of your web presence. Make sure you’re optimizing every image you use with keyword rich text descriptions. Search engines cannot interpret images or the text within images, so these descriptions are extremely important if you want draw visitors in. In addition to the internal links that will bring readers to other areas of your website, it’s also important for SEO purposes to link to other high quality external sites. (Again, you can see an example of this in our links back to Alexa and Google Analytics above.) You should also try to get other relevant and quality sites to link back to you. The more quality incoming links you have, the more authority your site will have within the search rankings. Of course, there are dozens of other techniques and strategies that you can employ to improve your site’s ranking and performance online, but these are the basics. They should be enough to get you started so you can begin to move your way up the search engine results, increasing your web traffic as you go and making all that hard work you put into building your website finally start to pay off. Get your free copy of The Property Manager's Guide to Extraordinary Marketing. It has all the inspiration and resources you need to make the right message heard by the right people.